Many of us have heard the term the Internet of Things (IoT), it is sometimes referred to as the next Industrial Revolution because it is expected to change the way all businesses, governments, and consumers interact with the physical world. It’s happening already as most of us employ IoT devices or applications every day — without even a second thought. Home security, GPS devices, and voice, smart home and fax over the Internet are the tip of the iceberg – just a fraction of what’s going on in your own smartphone. Although Wikipedia offers a definition of the Internet of Things, the pace of the industry growth makes it almost impossible to pin down a definition. As a result, terms like IoT ecosystem are equally indefinable. Many papers have been published on the subject, including one by Institute of Electrical and Electronics Engineers (IEEE): one thing they do agree on is that the definition is yet to be fully determined, therefore, the definition of IoT ecosystem is also a moving target. That being said, common sense dictates that an IoT Ecosystem is a series of Internet-connected devices that work together to accomplish some task or bring about a particular outcome. IoT as an industry in itself is growing at warp speed. According to a report by Business Insider, it is projected that the number of devices connected to the Internet will go from approximately 10 billion (2015) to 34 billion by 2020. Other tech pundits estimate as much as 50 billion. Business Insider projects that Internet-connected devices will account for 24 billion and computing devices will make up the other 10. 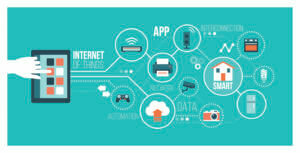 As opposed to computing devices, IoT devices are defined as the actual vehicles, buildings, and other items—embedded with electronics, software, sensors, and network connectivity enabling these objects to collect and exchange data. The report also estimates that $6 trillion will be spent on IoT solutions between 2015 and 2020. As lucrative as the Internet of Things is, its true value is in what these products can do for every facet of society. Businesses will use IoT solutions and ecosystems to improve their bottom line. In addition to the fiscal benefits of IoT applications, the government will improve the quality of life for citizens. Consumers, while expected to be the smallest of these 3 markets will still spend a significant among of money on IoT devices and ecosystems. Next week: a look at some commonly employed Internet of Things solutions that you probably don’t know exist.